SILVER CHAINS CAN EASILY BREAK AND TARNISH - If ours break for any reason we will replace it free. Uncertain about length? Look at our silhouette(s) closely to get the chain length you want. Chain too thick/thin? 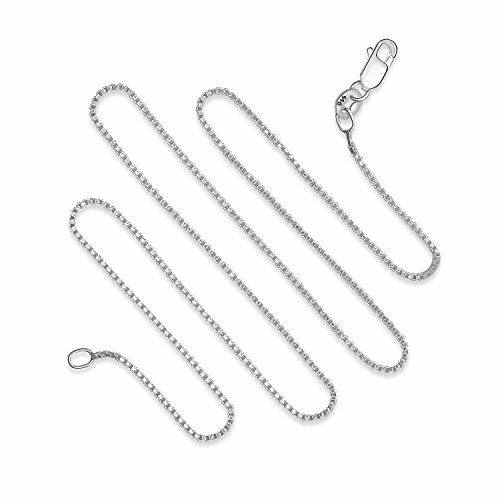 Look at our pictures, get the chain best suited for your needs. FREE GIFT and complete care instructions WITH EACH PURCHASE - Our chains have upgraded Lobster Claw Clasps. CUSTOMER SERVICE SECOND TO NONE - We LOVE what we do and we want to do it for you.